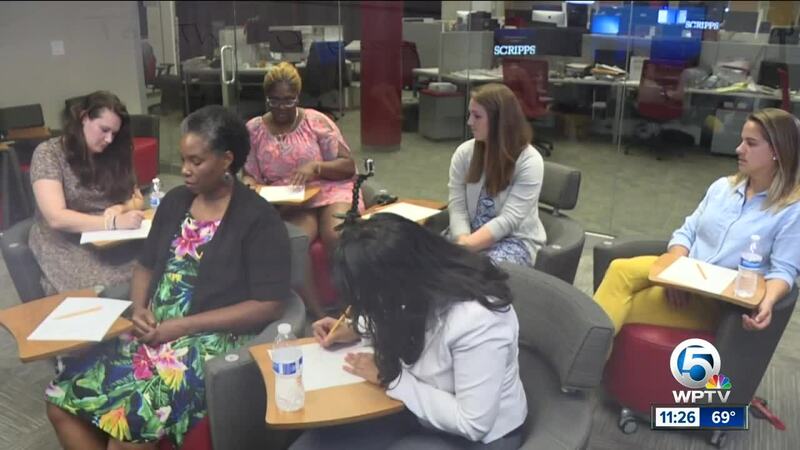 Overwhelming reaction to an Connect 5 investigation that exposed teachers failing the state's teacher test at unprecedented rates. One teacher is taking the Florida Department of Education to court over the test as more teachers come forward to share their own stories of failure and frustration. 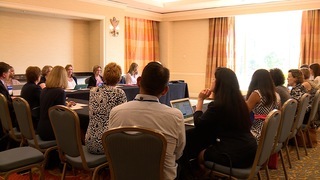 At a recent college education conference in Tampa, college Deans of Education programs across the state were talking about the state's teacher test and it's unprecedented failure rates. "We have a real crisis," said Dr. Gloria Pelaez, St. Thomas University Dean of the School of Arts which oversees its Colllege of Education. 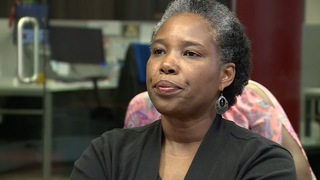 "It's been very challenging," said Sisi Carroll, Dean of the Education College at the University of Central Florida and Co-chair of the State University System Dean's Committee. That's because education programs across the state are now watching already struggling enrollment numbers plummet even more. Among the reasons, a state teacher exam many are now questioning the validity of. Known as the Florida Teacher Certification Exam, (FTCE) it's a must-pass if you want to teach in Florida. But after our investigation discovered how recent state changes making these tests more "rigorous" has resulted in historically high failure rates, the newest statistics from the Florida Department of Education show there hasn't been much improvement. In fact, there's a bigger problem. The number of people taking these tests is down by 10 percent on some tests. 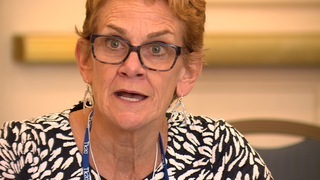 "This is turning people, good intelligent people away," said Wendy Mungillo of the Manatee County school district where 30 classes are now being taught by long term substitutes. 25% of those classes lost their full-time teacher because the teacher couldn't pass the FTCE test. "Not because they weren't a good teacher, just because they couldn't pass the certification test?" asked investigative reporter Katie LaGrone. "That's correct," said Wendy Mungillo. Just ask a room full of frustrated Florida teachers living it. 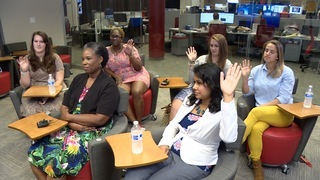 "You just feel so defeated," said Deanna Persaud who took the Florida teacher certification exam 6 times before she finally passed recently. 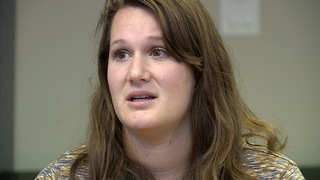 "It's ruining my life," said 13-year teacher veteran Maria D'Oleo who is struggling to pass the Florida Educational Leadership Exam or FELE. D'Oleo even started a facebook page as a result of her repeated failures. "There's something wrong with this exam, there's a flaw with the exam," she said. After repeated failures, Kaitlyn Frank could only find work an associate teacher, despite her Bachelor's in Education from the University of South Florida. "It makes you feel like who are you to want to teach these kids? How are you going to help them if you can't pass the test yourself," Kaitlyn asked. "It makes you feel stupid," she said. "It has affected my life tremendously," said Clarissa Arcuri. Clarissa earned her Bachelors in Education but after 7 failed attempts, she's teaching with temporary certificate that's about to expire. "The DOE told me I have until May which is the last month of this school year. I don't know what it's looking like next year," she told us. Melissa Smith also earned her Bachelors and also took the test 7 times and failed. So she's decided to leave the state and get her masters degree. "It's ridiculous. With this god awful experience of failing these exams, I've kind of gotten to that point where I may not come back to Florida," she said. Melissa and all the teachers we spoke with believe the state test is not a good reflection of high quality teachers. "I would much rather have an evaluator come into my classroom. If they need to come visit for a whole month period, I would gladly bring that versus having to take a test," she said. 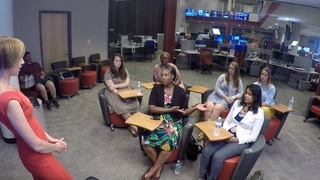 "Everyone has different learning styles, but you're testing everyone the same way," said Melissa who also pointed out that to earn her Bachelor's degree she had to pass a number of courses, college tests and was highly evaluated by schools she worked in as part of earning her degree. 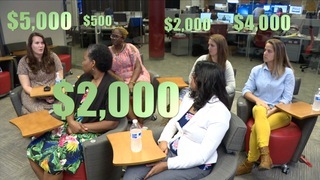 It's a problem costing these teachers their careers and money, lots of it. Between multiple testing fees and study materials, Kaitlyn has spent about over $5000 trying to get her state teacher certification. The test, which includes multiple sections and is administered by Pearson Vue can cost up to $215 to take per section and retakes cost even more! "I feel like they're trying to make money off of teachers," said Kaitlyn. We caught up with Pearson at the teacher conference in Tampa, but they wouldn't talk to us and instead referred us to the state. The Florida Department of Education maintains the more rigorous teacher tests are in line with more rigorous students tests. Many colleges and local school districts are now offering extra prep courses to help teachers pass these tests. South Florida based teacher Julie McCue is now legally challenging the Florida Department of Education over the Florida Leadership Educational Leadship Exam (FELE). The FELE is a state mandated test for teachers looking to move up to administrative teaching positions or, like Julie, earn more for her Master's Degree. Julie has failed the essay portion of the exam four times earning the same exact score each time. McCue is a 21- veteran teacher and considered a "highly effective" teacher in Florida. 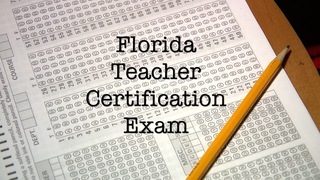 The FELE exam is administered by Pearson Vue, which also administers the controversial Florida Teacher Certification Exam. Both tests underwent recent changes to make them more "rigorous." McCue has spent thousands of dollars on testing fees and prep material for the FELE and even spent an additional $75 to challenge her score through Pearson's score verification process. McCue believes the problem rests with the Pearson-hired graders who score the essays. 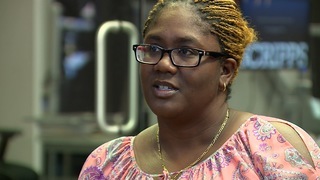 She is challenging her results on the test and has a hearing with the FL Department of Education in May. Watch what frustrated teachers want to tell leaders at the Florida Department of Education.